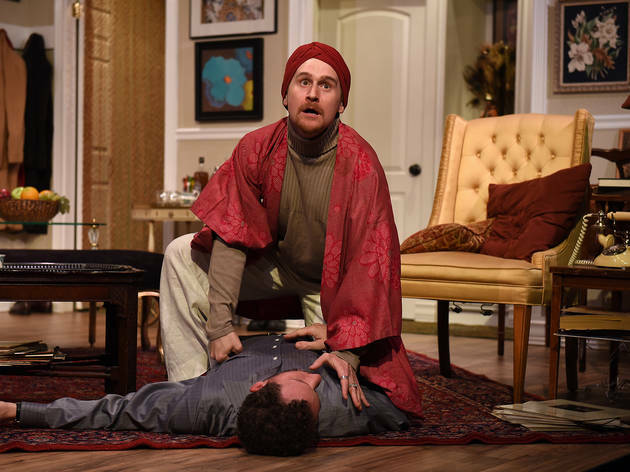 Terrence McNally’s application of art imitating life fails to make a compelling case. 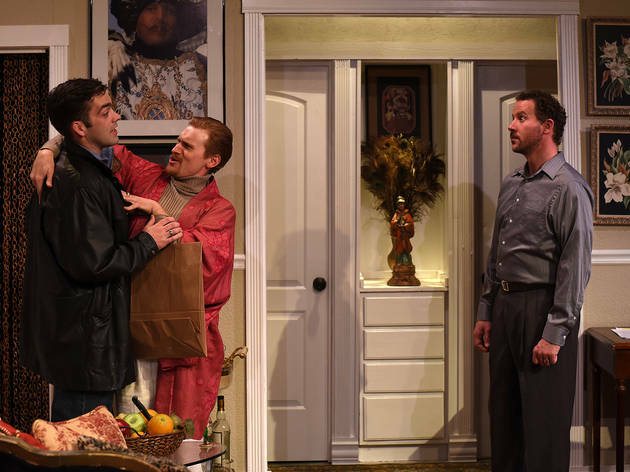 Art—opera, in this case—imitating life is a stage trope that's all too familiar, and Eclipse Theatre Company’s production of The Lisbon Traviata is no exception. 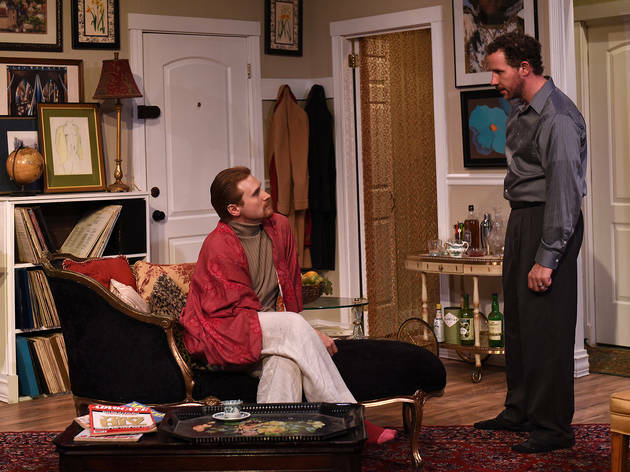 Written by prolific, Tony-winning playwright Terrence McNally in 1985, Lisbon struggles to match pitch between its first and second acts, and despite a hard-working cast, Steve Scott's two-hour production feels wearing. 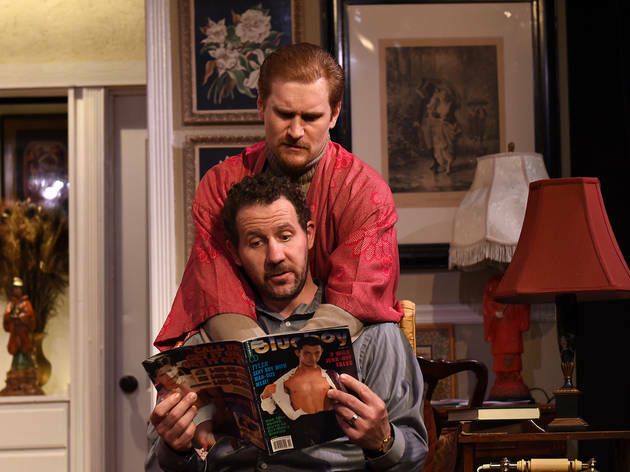 In the almost wholly contained first act, we meet Stephen (Joe McCauley) and Mendy (JP Pierson), two friends and reluctant lovers in 1980s New York who’ve bonded over a mutual obsession with opera (and the great opera diva Maria Callas, in particular). 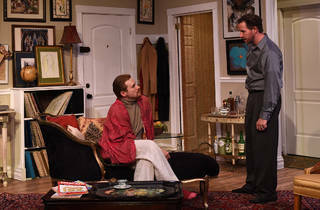 They pal around in Mendy’s overstuffed upscale apartment, drinking bad Scotch and quibbling over Tosca and Andrea Chenier. Mendy is obsessed with the possibility of listening to a pirated recording of Callas singing La Traviata from a long-ago performance in Lisbon. 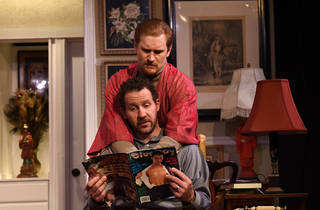 Stephen, meanwhile, fixates on his crumbling relationship in between the opera talk. Stephen’s boyfriend of eight years, Mike (Joel Reitsma), is seeing other people, and wants Stephen to move on, too. 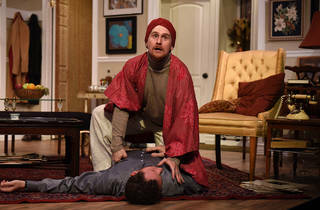 With Mendy, McNally is at his sharpest, and Pierson pivots easily from quick-witted, melodramatic opera buff to caring sage. 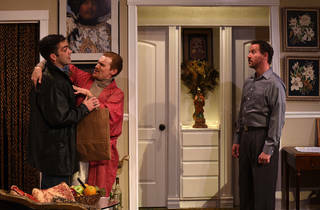 But Mendy is relegated mostly to the first act, and the second act, which depicts the confrontation between Stephen, Mike, and Mike’s new boyfriend, Paul (Luke Daigle), feels discordant compared to the feverish pace of the first. Drawn-out arguments reveal that Stephen and Mike’s relationship couldn’t withstand time, falling victim to the banal domestic issues that arise when the excitement is over. McNally only briefly touches on larger, more compelling issues, including the devastation and loneliness that accompanied the AIDS crisis of the time, but doesn’t perseverate on them. 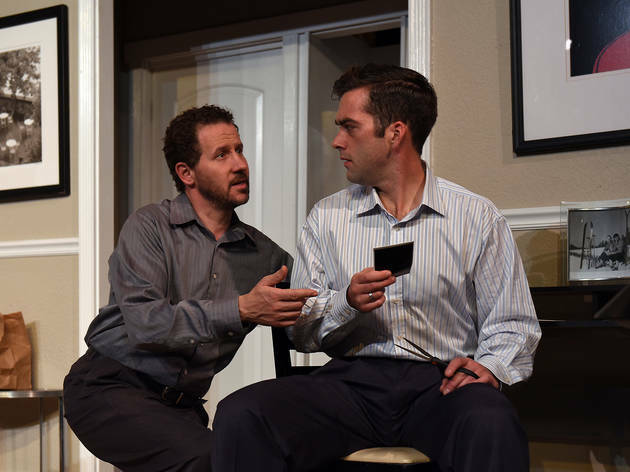 When the confrontation between Stephen and Mike turns violent—an ending McNally revised away for a 1989 production, but is here restored—it’s unconvincing; there’s not enough at stake to escalate to such melodramatic proportions. A night at the opera, it is not. 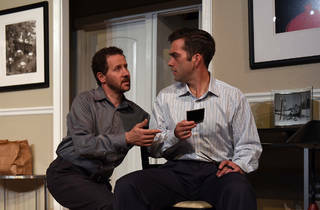 Eclipse Theatre Company at Athenaeum Theatre. By Terrence McNally. Directed by Steve Scott. With Joe McCauley, JP Pierson, Joel Reitsma, Luke Daigle. Running time: 2hrs; one intermission.